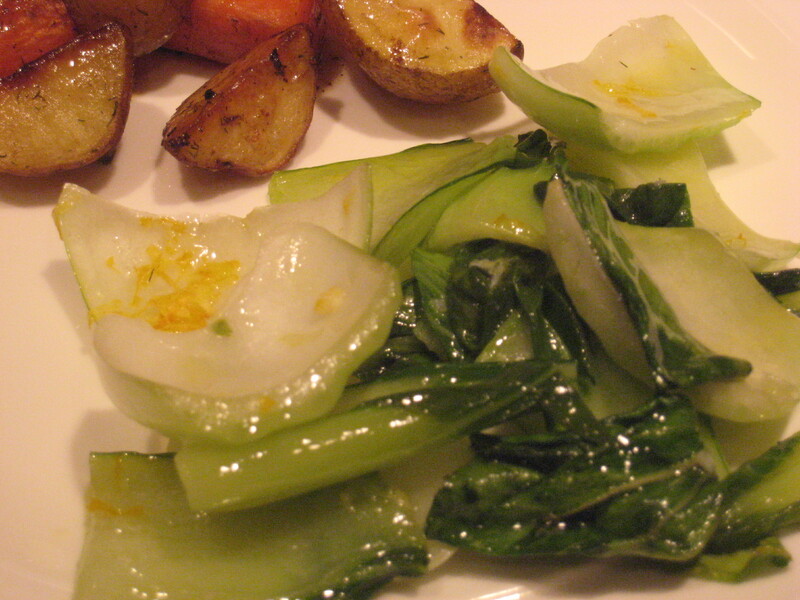 If you are new to greens or are looking to try a new green…consider bok choy. It is extremely nutritious, has a wonderful texture and is not as bitter as some other greens. Bok Choy is also known as “Chinese cabbage” and is often used in Chinese cuisine. Consider celebrating the upcoming Chinese New Year with bok choy. Gung Hay Fat Choy…here’s to the Year of the Dragon! Cook over medium low heat until all water is absorbed, stirring frequently. Top with lemon zest.